When we started with development of Homey, a wonderful Community formed around us. Through the years we built up some great friendships with members from our Community. A few weeks ago we visited some of these friends at Sybrand’s Place in Utrecht. When we got there we immediately noticed they use two Homeys to maintain their own ‘Smart Office’. Much like our own office, Sybrand’s Place is a fun environment for developers. They use Homey to make their space come to live. 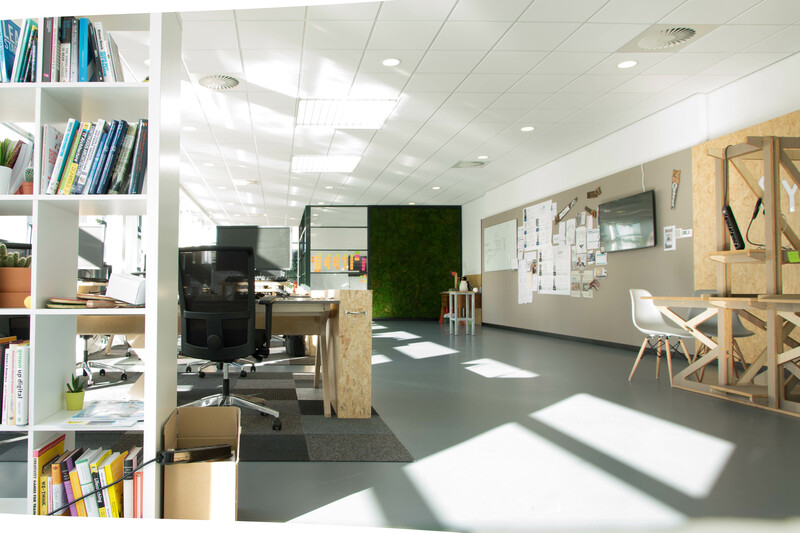 We liked it and asked them to tell something about their Smart Office. What do we do at Sybrand’s Place? We change the world of interiorbuilders and contractors. Without cranes and bricks, but ‘simply’ with our brains. As e-commerce professionals in construction we try to bridge the gap between today and tomorrow. Driven by customer insights we discover bottlenecks and annoyances that motivate us to change things for the better. We take care of our customers, and Homey takes care of us. At Sybrand’s Place, the creative space where our monthly developer meetups take place, are two Homeys. One Homey runs in stable, and takes care of the automation of our office. The other Homey runs in developer preview. That way we can develop with- and test the things the guys at Athom come up with. What does Homey do for us? We have a variety of ‘smart’ devices. While Z-Wave devices are gradually taking over, we still trust in the 433-technology. These devices are mainly imported from China. 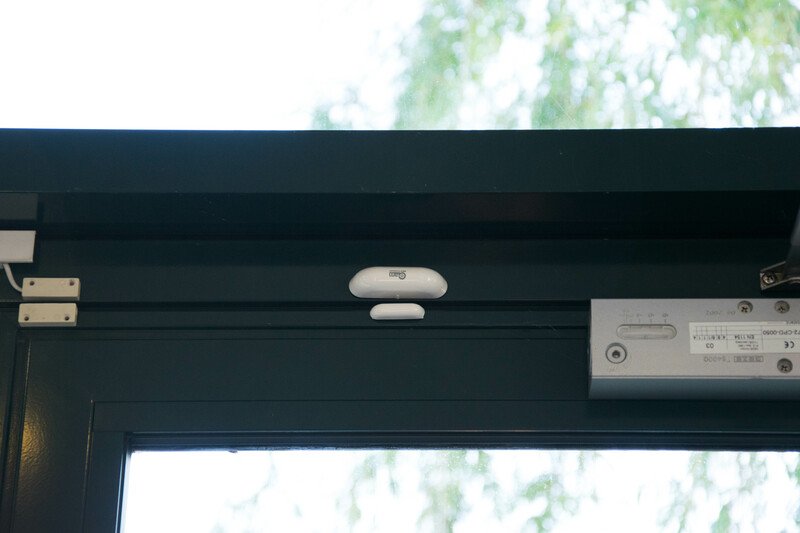 By adding a door/window sensor to Homey, visitors get a warm welcome when they open the door. Homey knows when to say ‘good morning’ or ‘good afternoon’. Also, with varying speech messages Homey tells visitors where to hang their coats, and where they can find a drink. If somebody forgot to close the door, Homey will let us know by saying it’s getting cold in here. To secure our productivity, Homey keeps track of our daily appointments. For instance, if everyone of the team is present, Homey will tell us at 8:59 that the ‘stand-up’ starts in one minute. Nowadays, offices and friday afternoon drinks with colleagues are almost inseparable. Subsequently, we haven’t forgotten about this. 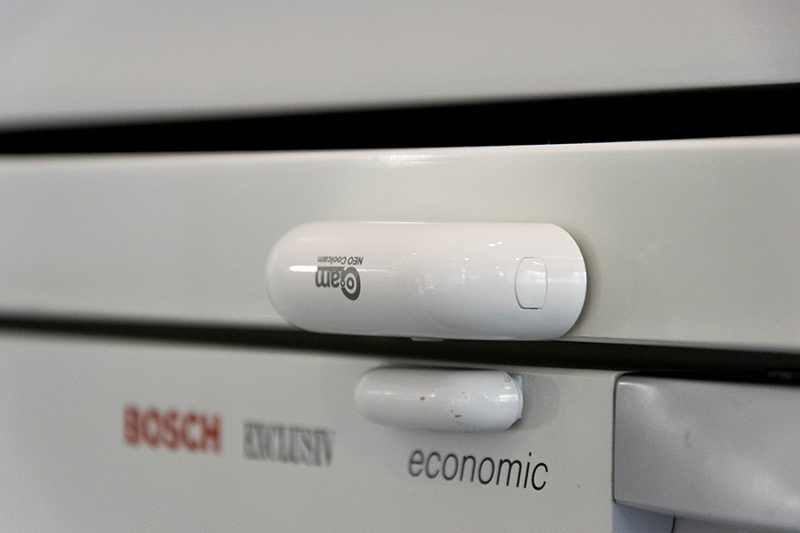 By adding a contactsensor to our fridge Homey let’s us know when it’s time to start our weekends with a drink. Next to all the office-related functions, we also use our test Homey to play around with. 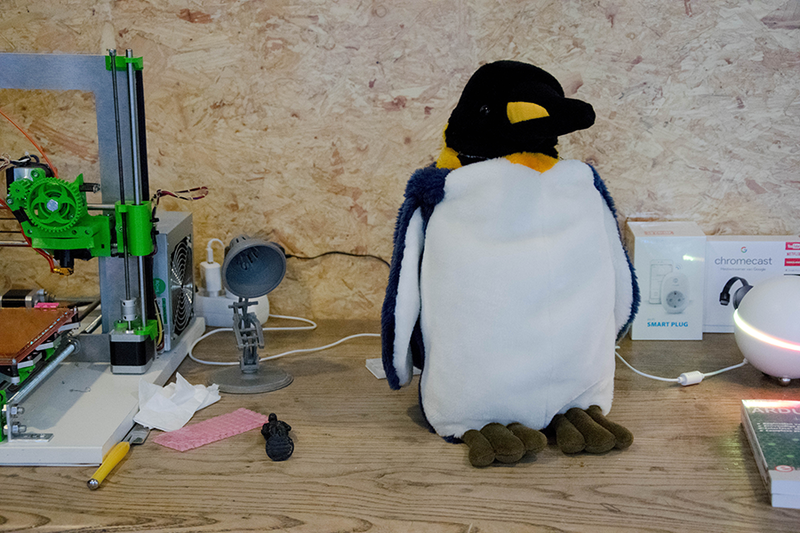 Currently, we are programming our own mascotte (Harry the Penguin) to move around and react to commands through Homey. 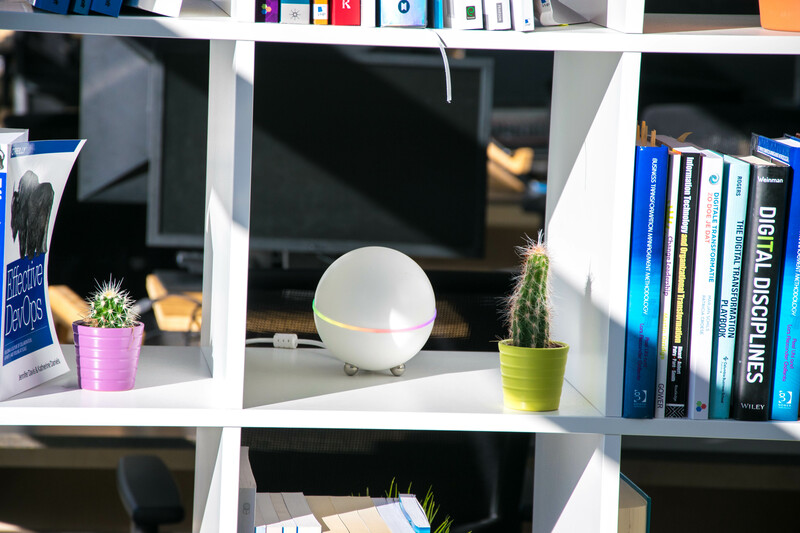 You can see all of our office automation, our discoveries and playing around with Homey with your own two eyes. Every first Wednesday of the month we host a developer meetup, which you are more than welcome to join. Help us come up with creative solutions and make cool stuff, or simply join us for a game of pingpong! Intrigued by the possibilities, or think you can do better? Get a Homey for your office now!